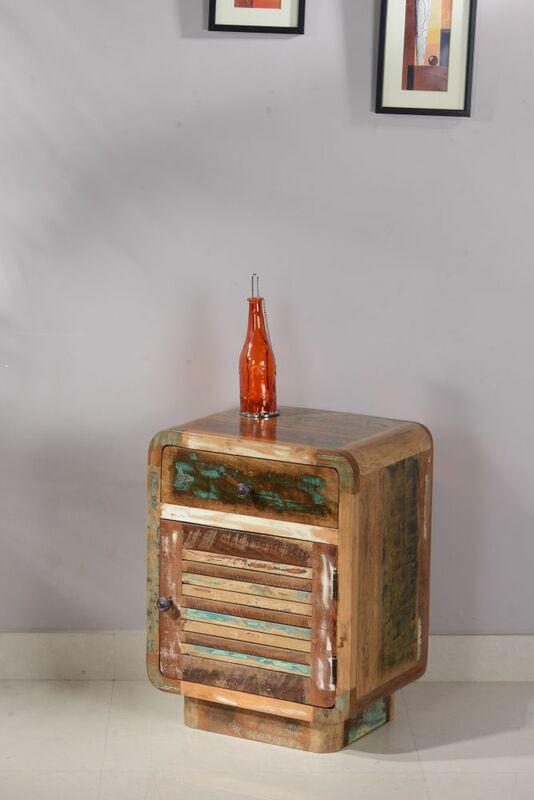 IRINGA is a wonderful practical and small bedside cabinet. It is the perfect size for placing in just about any room of the house. It can be easily placed at a variety of locations in the house, from bedside cabinet to hallway hideaway. The top of the cabinet can form a very useful display area in the hallway or any bedroom. Wonderful bedside unit with a door that have been hand crafted from disused wooden shutters and reclaimed wood. It is a new addition to our range of furniture which uses disused wooden shutters.